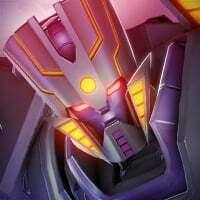 Is the "a new force coming, Megatron is near" a new event? I TOTALLY understand why the penalty exists, but multiple crashes a day make the penalty ten times more frustrating for users who are not rage quitting than they are a deterrent for those who try to cheat the system. Thanks for the info on the update! Glad the game team is working to make productive changes! No mention of a fixed am past the bandaid repair now for post 66? Also: will Act 3 chap 2 be rolling out with this? Why the change to Ratchet? Will his self diagnosis stop once you get back to 50% health? This is not a change that is going to be accepted well. He already got nerfed once before and now you're taking away part of what makes him still usable. 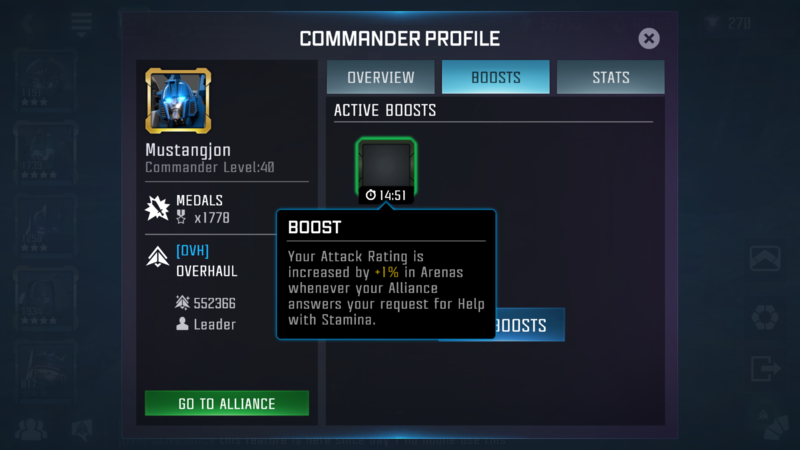 What makes him "usable" is why almost the entire alliance runs him in their AMs and is a key to the success. That's not "usable", that's unbalanced. So he's effectively the same, under 50% health. So they halved his health. Half of infinite is still a lot. We realize that this is definitely going to be a contentious change, but as we've said in the past, we're going to continuously be looking at the performance of bots and Mods (yes, Harm Accelerator is on that list) to ensure that we're not creating any potential unbalanced situations where one or two bots will become the answer to everything and content is then created to counter those bots, and is punishing to players that do not have them. I should clarify that the event won't start until the Current one (A question of Loyalty) is complete! Unfortunately, 3.2 isn't quite ready for the world just yet. Ratchet is going to need some extra damage potential then. It seems like you haven't tested this at all at higher levels. Ratchet is already at a disadvantage in AM in damage, and this is a big hit to his damage. Take the healing away, fine, but no power gain over 50% means he is useless in AM now. Thanks for the info miike! Ratchet's power gain was the one counterbalance to his noodle arms but taking that away, seems like the change might have been over done. Ratchet already has some timeout issues in higher level AMs, he definitely won't be able to do enough damage now against some bots. We can see where you're coming from, and while we want all Bots to be viable in different modes, a 3-Star Ratchet is not really an ideal candidate for higher levels of Alliance Missions. 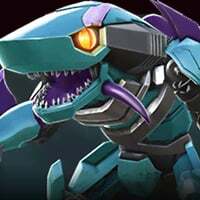 Some bots will definitely be more capable in certain modes and missions than others, and some fights/matchups will not be good choices for certain Bots. This is where you'll have to make strategic choices. But like I said, we're going to keep an eye on Ratchet and make sure that he doesn't fall out of line with all the other Bots in the game, and if he does, we'll adjust him again. @Kabam Miike any updates on the bots holding their sp2? We've just been informed of an issue that will affect 2.1 that will unfortunately be making its way into the live build tomorrow. It's nothing game breaking, but is likely to cause some confusion. When viewing your Away Mission choices, you will not be able to scroll down by hold down on the missions themselves and scrolling. There is a quick workaround: You can move through the list by holding your finger on the Rewards that are shown and scrolling there. This was an issue that we believed to have been fixed, but it appears that the fix did not work, even after our testing had concluded that it would. So basically, use the Right side of the Away Mission screen to scroll through the list. We'll be making a known issues thread for 2.1 shortly, but wanted to let you guys know right away. Basically what you are telling us is that you are going to nerf bots but not fix bots or mods. You didn't like the idea that a bot would heal and not need to spend repairs on it, or a bot that was capable of taking on higher PI due to being unstoppable. By nerfing Motormaster just after you release a money deal that lets us now rank him to level 3, to then in a few min (not even got a chance to try him out) find out that he is no longer able to do what he did great. But using the excuse that he will now be easier to counter, child pls!!! I thought we had at least a year before MCoC nerfs were gonna be implemented. Could we at least get some down-rank tokens, and should we prepare to see a nerf on both Optimus? Since the end of our Beta period, we have made adjustments to 18 Bots (some more than once). This is hardly the first time, and a lot of these were Buffs or answers to problems players were having, like Harm Accelerator. We will continue to do this in the future in order to ensure that we do not create any balance issues. Unfortunately, there are no plans to issue anything that will allow players to "Rank Down" at this time. No comment on crash/penalty issues other than AM? I'm finishing the Hot Rod event now and once again, I've had two crashes during the run. Two of my bots that lost half of their health during the hardest run of the hardest level. I'm going to make it this time. But I'm hoping this patch will mean fewer crashes for the next event, or the elimination/easing of that penalty. I have a question I updated mine and it's still the same with graphic its just everything runs fine but the graphic needs improvement. So my question is will there be a update with the graphic improvement like the iphone? Good Eye! That was a slip up on our part, and actually something pretty cool for you guys. +5 to Deduction Skills. When are we going to see more 4* bots in the 4* crystals? So you're nerfing the only healing bot and not doing anything to compensate. Seems like anyone that poured resources into him is getting a crap deal out of this. No fix to holding specials and no change to harm accelerators? More money grabbing is pretty evident here for those that weren't in the beta or spending $1000 just to keep up in AM. Even with Ratchet it was difficult and that's a big middle finger. Thanks.